Personalize 1 Line (35 char. max) You have 35 characters left. 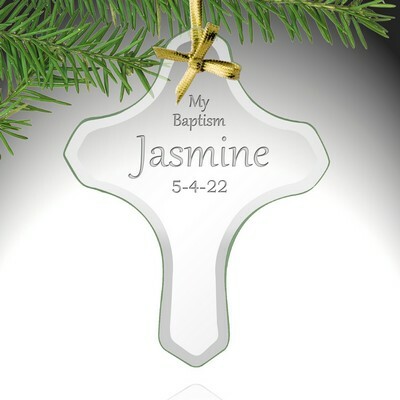 This personalized baptism frame is such a wonderful gift to give to a newborn or the parents of a newly baptized baby on such a special occasion. 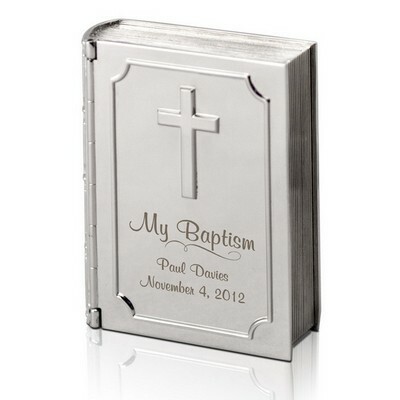 This beautiful two-tone matte and polished metal frame is an exquisite gift to give for an important event such as baptism. The metal frame has an embossed cross and dove design, which makes it quite appropriate for a beautiful and significant event that should be treasured. 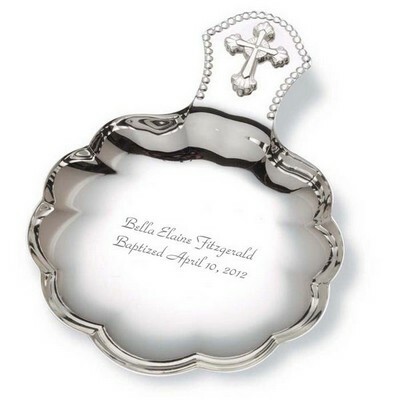 Remember this important day by putting a picture of the newly baptized baby on display in this elegant polished metal frame. 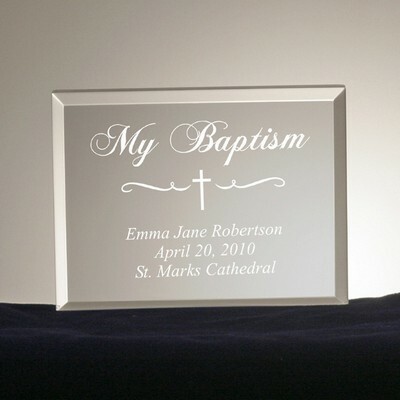 The frame can be personalized just for that special someone by having his or her name laser engraved in a beautiful script at the top on the frame. 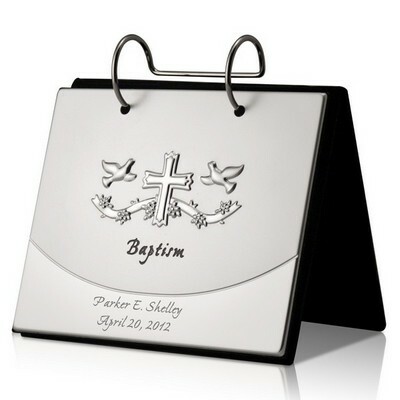 The word "baptism" is depicted beneath the photo, letting everyone know what this beautiful frame is celebrating. 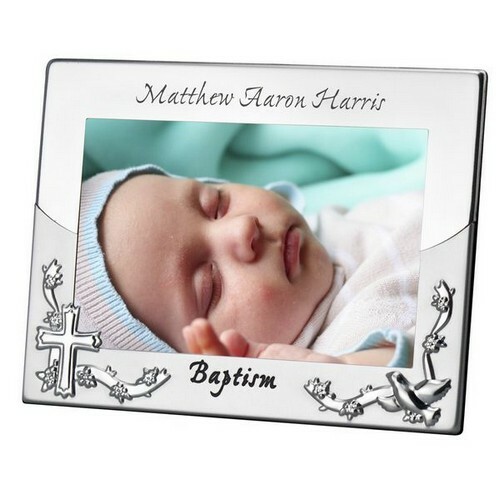 Whether you are a godparent, grandparent, or friend to the newly baptized baby, this personalized picture frame is a great gift to give. 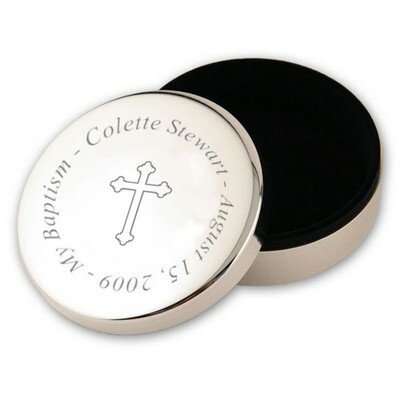 You can share you love and support for their faith by giving them this token of your affection. 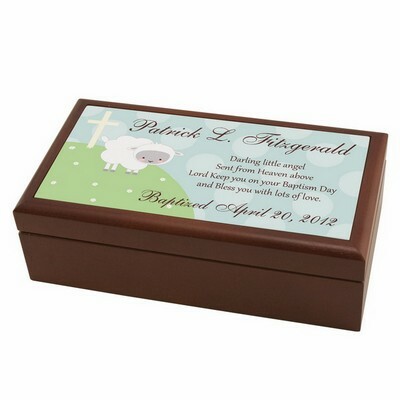 The overall dimensions of the frame measure 7 1/2" by 5 7/8" by 7/8", and holds a 4" by 6" photo. Comments: The looks just like the pictures online. The engraving was nicely done. It was delivered within the time frame they stated as well. Overall satisfied with my purchase. 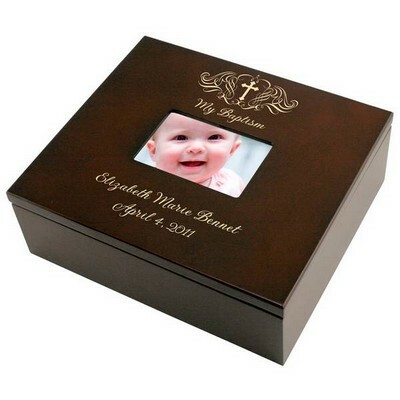 Comments: While it is a very pretty frame it wasn't the quality I expected. But for the price I would recommend a purchase.